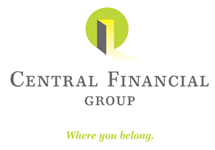 Kole Petersen joined the Central Financial Group Fort Dodge office in the Fall of 2017. The career move was also a move back home as he grew up in Fort Dodge and graduated from Fort Dodge Senior High. Kole has more than 11 years of experience working in finance, retirement and investments. During his time at Principal Financial Group in Des Moines, he worked in the 401k and IRA Departments. Before joining CFG, he worked as an Internal Wholesaler for Principal Global Investors. His first career was in the golf business and included jobs as an Assistant Golf Professional at Beaver Hills Country Club and as a Clubhouse Manager in Ida Grove. Kole and his wife, Molly, have four kids. He is an avid sports fan who enjoys cheering for the Broncos and the Cubs.